Alex Dowsett is a professional racing cyclist from England. Some of his big wins include the British National Time Trial Championship in 2011, 2012, and Tour of Britian in 2011. Alex was an Olympic hopefull in 2012 but was sidelinded due to an injury were he broke his elbow and had to have surgury and get screws put in. Alex has Hemophilia. Alex was born on February 15, 1973 in Highland Park, Illnois. She is an actor, comedian, and film writer. She is most famous for being the voice of Lois Griffin on Family guy. She also played Miss Swan on MADtv. She made apperances in films such as Killers,Good night and Good Luck, Catwoman, Dinner for Schmucks, Bad Santa, The Lizzie McGuire Movie, and Kickin and Screamin. She also wrote and did voice acting for many other shows such as Power Rangers, Barbie, Casper, and Pinkie and the Brain. Alex is a carrier of Hemophilia as well as a spokesperson for the disease. Barry Haarde has severe hemophilia A and is a 30+ year survivor of HIV and Hepatitis C, contracted through blood products used to treat hemophilia. He also suffers from peripheral neuropathy and has a total knee replacement. He lives and works in Houston, TX and participates in many local cycling events. Barry serves on the boards of the Committee of Ten Thousand and the Lone Star Chapter. In 2012 Barry made history by riding across the U.S.A. from Astoria Oregon to Portsmouth New Hampshire. A 3,667 mile ride that he completed in 50 days. He started a fundraiser called "Wheels for the World" to raise funds for Save one life (an organization that brings Medicine to people in 3rd world countrys who can not afford it on their own). He is the first person to bike across America for Hemophilia and the first person to do so with Hemophilia, HIV, and Hepatits.In 2013 Barry Completed his journey once again but did so in 30 days and went from Costa Mesa California to Amesbury Massachusetts, a 3,456 mile trip. Jesse was born on August 21, 1979. He lives in Clevland Ohio. Jesse was a professional baseball player in an independent league. He is a left handed pitcher who was clocked at 92 MPH. He went to Tiffin University on a baseball scholarship, where he holds the record for strikeouts in 9 innings. Jesse plays competitive amateur baseball on 2 teams. Jesse has Hemophilia A and would have to ice his arm after every game he pitched. He was able to play baseball because he took extra care of his body. Prince Leopold is the son of Queen Victoria. He was born on April 7, 1853. He was diagnosed with Hemophilia when he was a kid and had a constant staff of doctors around. He married Princess Helene Friederike on April 27,1882. In 1883 they had their first child, a daughter named Alice. On March 27, 1884 Leopold slipped and fell, injuring his knee and banging his head. He died early the next morning. Leopold's death came 4 months before the birth of his son Charles Edward. Queen Victoria was born on May 24, 1819. Her father died in 1820 and she was raised by her German born mother. She inherited the throne of England when she was 18 after all 3 of her father's older brothers died without any children. She married Prince Albert in 1840 and they had 9 children. All 9 of their children and 26 of their 34 grandchildren who made it to adult hood married into royal and noble families across Europe. Her reign lasted over 63 years until her death on January 22, 1901. Queen Victoria was a carrier of Hemophilia B. Two of her five daughters were also carriers and married into other royal families in Europe. They passed Hemophilia through various royal families such as Spain, Germany, and Russia. This is why Hemophilia is known as the Royal Disease. Richard was born November 10, 1925 in Wales. He died August 5, 1984 in Switzerland from a stroke. 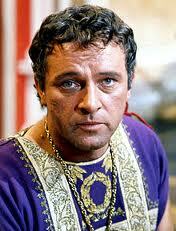 He was nominated seven times for an Academy Award , six of which were for Best actor in a leading role. He was in this business from 1944 -1984. Richard was in 61 films and 30 stage productions. He was married 5 times, twice to Elizabeth Taylor. Richard suffered from Hemophilia. Ryan was born on December 6, 1971 in Kokomo Indiana. He had prolonged bleeding after his circumcision. When he was 3 days old he was diagnosed with Severe Hemophilia A. He was getting weekly blood transfusions. In December 1984 he became very sick with pneumonia. The doctors then diagnosed him with AIDS and said he only had 6 months to live. Ryan got AIDS through blood transfusions that were not screened. He became famous because his school told him he was not allowed to attend and his parents filed a law suit through the U.S. District Court in Indiana. They eventually won the law suit. His law suit made national headlines and he ended up becoming the poster boy for AIDS. Despite what the doctors said, Ryan lived until April 8, 1990. His funeral was attended by 1,500 people including Elton John, Barbara Bush, Howie Long, Phil Donahue and Michael Jackson. Alexei was born on August 12, 1904. He was the youngest child and only son of Emperor Nicholas II and Empress Alexandra Feodorovna. 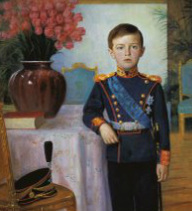 Alexei was the heir to the throne of the Russian Empire. He was born with Hemophilia B (which could be traced back to his maternal great grandmother Queen Victoria). Alexei was killed with his parents and sisters during the Russian Civil War on July 17,1918. He was in a wheel chair at this time due to complications with his Hemophilia. The family was all put into a room and a shooting squad was ordered to shoot them. First his father, then him. They shot Alexei several times but he remained alive. The men then repeatedly stabbed him with bayonets. He was injured but still alive. They then shot him in the head two times and he finally passed. The men did not know that under his shirt he wore a vest made of Gems that protected him from most of these injuries. His body was later burned. Him and his family were canonized by the Russian Orthodox Church in 1981 as Holy Martyrs. They were canonized again in 2000 by the Russian Orthodox Church as passion bearers. In 2007 a Russian archeologist discoved the remains of 2 bodies and based on how they were killed and clothing that was found, anounced that they were Alexei and one of his sisters. In 2008 DNA results of the remains confirmed his theory. People who need no introduction, but were rumored to have had Hemophilia (although it can not be proven). Abraham was born February 12, 1809. He became the 16th president of the United States. He successfully led the country through the American Civil War and ended slavery. He was shot in the back of the head on April 14, 1865. After 9 hours of being in a coma, he died at 7:22 am on April 15, 1865. Abraham is rumored to have had Hemophilia. Genghis Khan was born around 1162 and died in August 1227. He was probably the most famous and brutal conquerer of all time. He was the founder of the Mongol Empire, which became the largest contiguous empire in history. Genghis was also rumored to have had Hemophilia. Mother Teresa was born August 26, 1910 and died September 5, 1997. For over 45 years, she ministered to the poor, sick, orphaned, and dying, while guiding the Missionaries of Charity's expansion, first throughout India and then in other countries. She is rumored to have had Hemophilia.